Ornate Decorative Swept Picture Frames. Available in Standard Imperial Sizes in Ivory, White, Gold, SIlver, Black and Walnut. The Frames are available in a variety of different widths; 1", 1.5", 2", 2.25", 3", 3.75", 5" and 5.5"
All of the frames are supplied with a backing board, cord, d-rings and screws. If you would like any acrylic glazing or a mount please select the relevant option. 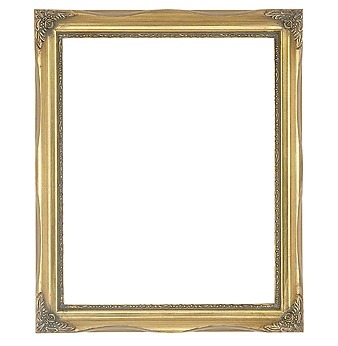 11" x 14" / 280 X 355mm Gold Linen Swept Picture Frame 1"
11" x 14" / 280 X 355mm Gold Swept Picture Frame 1.5"
12" x 10"/305 X 254mm Gold Linen Swept Picture Frame 1"
12" x 10"/305 X 254mm Walnut Swept Picture Frame 1"
12" x 15"/ 305 X 381mm Gold Linen Swept Picture Frame 1"
12" x 10"/305 X 254mm Gold Swept Picture Frame 1.5"